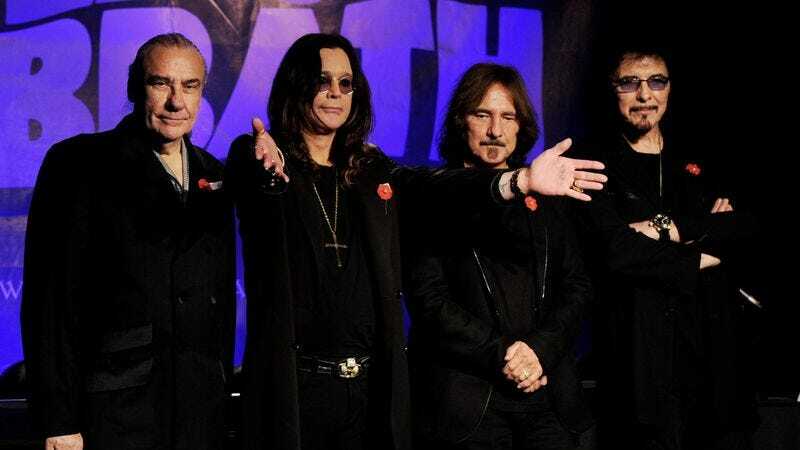 At any rate, it seems highly unlikely that any of Sabbath’s millions of fans are going to complain about another final opportunity to see Ozzy Osbourne, Tony Iommi, and Geezer Butler. Four months after their last show in New York City, Fact reports that the legendary progenitors of heavy metal have announced that they will continue their farewell tour on June 11 in their native U.K. before hopping around Europe and heading stateside in August. The final tour should reach its finality in Sao Paulo, Brazil this December. Though, at this point, who knows?